After the recent trio of FootieBugs Academy stars were signed by local professional clubs, FootieBugs are now offering 25 free places at their Academy for disadvantaged children across the area, who may have the talent to reach the next level. 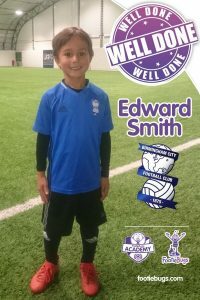 Six year olds Edward Smith and Ashton Gunning have been signed by Birmingham City, whereas nine year old Ruby Mullins has signed for local rivals Aston Villa – taking the total number of FootieBugs Academy players being placed in Professional Academies over 15 in just over a year! 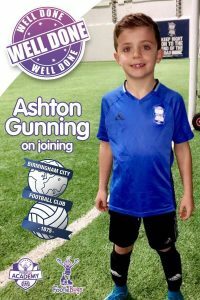 FootieBugs Academy Director and former Birmingham City player Ash was delighted to see three more academy players signing for local professional clubs – and predicted that more players could follow in their footsteps. The trio were all scouted by a number of local clubs after impressing during the scout’s regular visits to the academy, where sessions are focused on getting children ‘one step closer to professional‘, by acting as the perfect stepping stone for young children who dream of playing the game at the highest level. 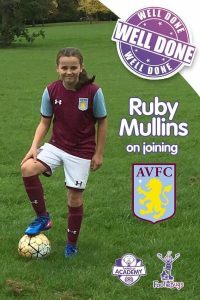 With the new pledge to offer 25 free places to disadvantaged families in the West Midlands, talented youngsters across the area will now have the opportunity to demonstrate their skills and have expert coaching to improve their technical and tactical abilities, with the opportunity of being scouted and signed. Some of the coaches at the academy include Ashley Sammons and Mitch Hancox, both former Birmingham City players, and Callum Flanagan and Connor Mooney, former Aston Villa players. All coaches are fully qualified to FA and UEFA B levels and combine their playing and coaching experiences with teaching ‘the FootieBugs way’. Through an exclusive partnership with Birmingham City Football Club, the FootieBugs Academy are the only local youth academy in the area feeding directly into Birmingham City’s Academy. The FootieBugs Academy offers a free trial to all children – to book your child’s free trial please either visit http://www.footiebugs.com/footiebugs-academy or call 0121 777 7792. PrevPreviousThe Bugs Group’s Kids Holiday Camps in Solihull this Easter!